Creeping Mist II | Irene Abdou Photography, LLC - Travel. Lifestyle. Documentary. NGOs, Development & Public Health. 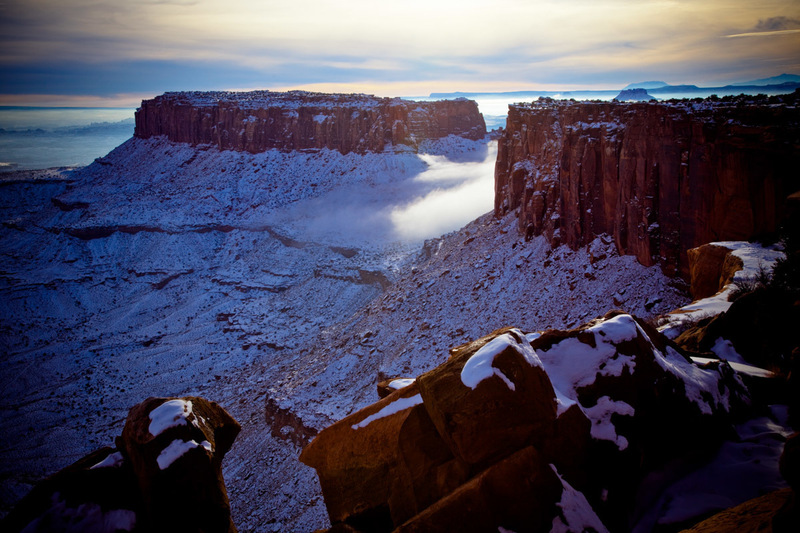 During a winter sunset, a deep mist floats through the canyons of Canyonlands National Park, Island in the Sky section, near Moab, Utah.